Your house hunt is over! 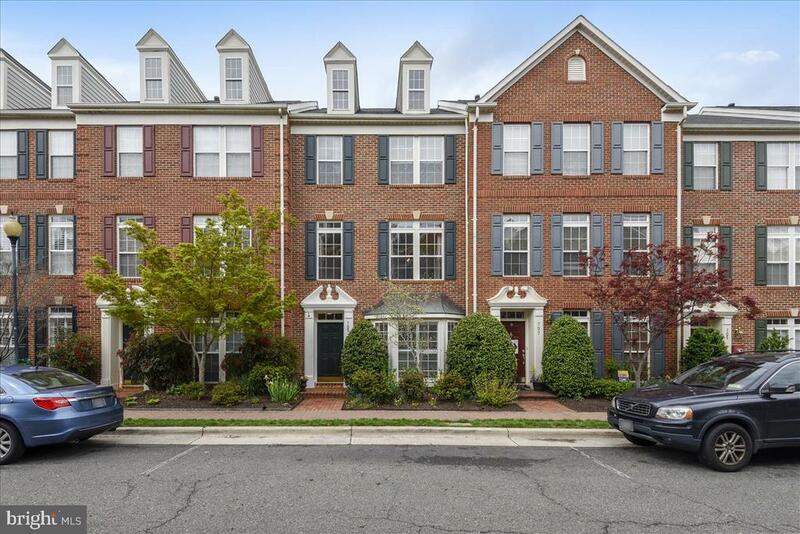 This stunning old town greens townhome has it all: 3 bedrooms, 3 bathrooms, a first floor den (optional use as 4th bedroom), a loft, a deck, a 2-car garage, gleaming hardwoods, plantation shutters, new carpets, fresh paint, and a lovely southern exposure. The custom eat-in kitchen boasts granite countertops, energy star stainless steel appliances, tumbled marble backsplash, maple cabinets, a large island, pantry closet, recessed lighting, and elegant crown molding. The adjacent deck is so convenient for grilling or just relaxing before and after dinner. The dining room delights with chair rails, crown molding, a tray ceiling, and a lighted art niche to show off a favorite treasure. Or, use the room as an extension of the living room or, perhaps as a bistro, as the sellers did. The adjoining living room flows openly from the dining room and reflects the same crown molding as well as beautiful wall-to-wall built-ins to store and display your books, artwork, and other treasures, along with your entertainment system. The master suite features a majestic bedroom with vaulted ceiling, plantation shutters, and a custom walk-in "california closet. " the grand master bathroom delights with double sinks, a separate tub, and a beautiful new, enlarged rain shower with frameless glass doors. Above is a spacious loft that could serve as office, reading room, nursery, home gym, yoga studio, or whatever your imagination suggests. Two additional bedrooms provide lovely havens for family or guests. And for the discerning techie, the home is fully wired with ethernet connections in every room. All this, with the enchantment of old town greens (outdoor pool, lighted tennis courts, tot lot, jog/walk path, community metro shuttle bus service, block parties, children's events, etc. ) in an enviable location (stone's throw from rustico and buzz, and close to washington dc, the pentagon, reagan national airport, metro rail and bus, the famous mt vernon trail, potomac yard, and amazon's new home for hq2 at national landing) along with all the shopping, restaurants, historic attractions, and night life old town has to offer. For more information or make an appointment to see property ID VAAX227792.